Are You Guilty of Listening To RUSH? I am. I use to not like Rush…….when I had Bird Brain Flu! That’s what Rush calls it. I had Bird Brain Flu real bad for many years. The first time I listened to Rush was while cleaning a home in Oceanside, California. The lady I was cleaning house for had his broadcast piped in throughout her entire house. I thought she was on the extreme side for that! But she was really nice and lived in a beautiful home overlooking a beautiful golf course. At the time I thought wow, she must really like RUSH to have him on throughout the house. Until my symptoms of Bird Brain Flu went away after being educated about true Patriotism, conservatism, and politics I thought Rush Limbaugh was kind of rough and kind of mean in his tone of speaking! Of course when your temperature is extremely high from Idiotism one of the worse symptoms of Bird Brain Flu one would interpret the Rush language as a little rough. Think of it like this, your child is getting ready to run out into the street full of on coming cars and you YELL! “STOP! STOP! STOP! Don’t go any further!” because you love your child so much and he or she was just getting ready to die! That was rough also! But not mean! 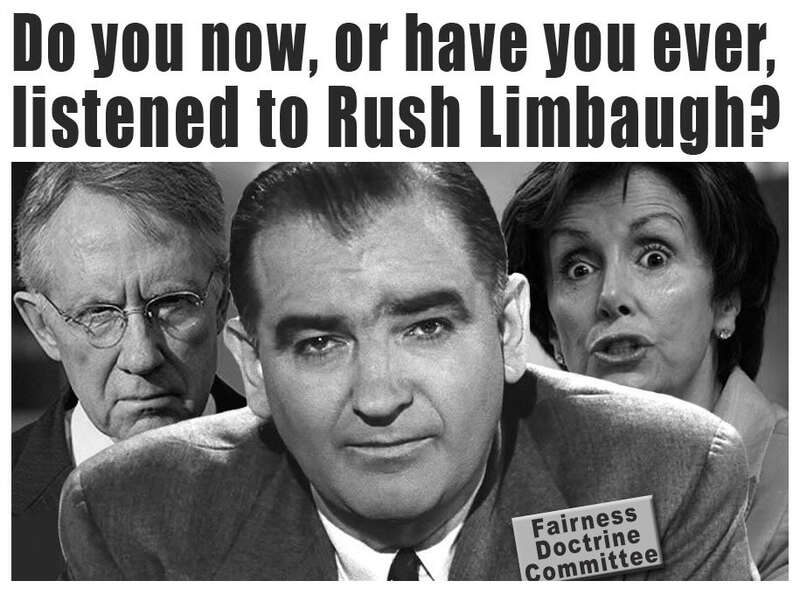 RUSH Limbaugh is NOT mean! It’s just that when you have Bird Brain Flu you misinterpret TRUTHFUL things. You can’t handle the truth so it hurts…you think! But that little child lived because the parent was rough and seemingly mean for a moment in order to save it’s life. RUSH is not mean or evil, he is a good man who loves God and our country and like all of us is trying to save, preserve it’s freedom we so dearly cherish. 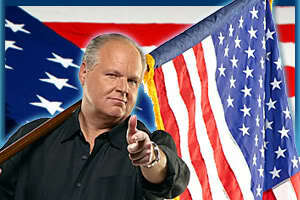 The liberals on the left HATE Rush Limbaugh because he stands for those freedoms and liberties! They don’t want any of us to listen to him because they who want to lead us into socialism, communism, marxism, and every controlling ism there is and they are threatened by the truth he and all of us proclaim! LEAVE OUR COUNTRY ALONE we say! STOP! STOP! STOP! taking over private sector! Stop taxing the hell out of us to pay for social programs to keep the people confined to poverty and so everyone is on one level! No progress, no success, no rich, no capitalism, just controlling government powers that be in charge of all of us, no American dream! No expression of art, speech. What the left doesn’t realize when we get to that point where they can’t express themselves either they would look back and say RUSH was RIGHT! Just like I did when I finally woke up and realized the truth. It’s like when we are teenagers we think our parents are kind of stupid. But we were the stupid ones for not listening, not understanding they had far more wisdom than we did running around thinking we were know it alls! Then we find out our parents loved us so much all along and were just trying to keep us from harm. Rush is like that parent who is like “father knows best”. 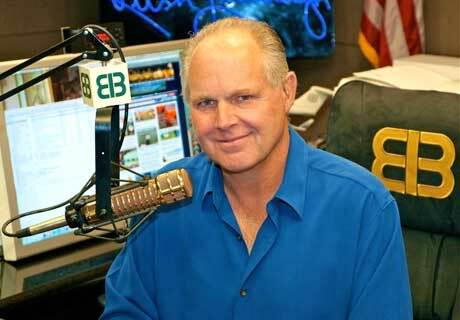 Tonight the world stood still for many of us who love Rush Limbaugh when we all got word that he was rushed (pun intended) to the hospital in Hawaii while on vacation because of chest pains. The thought of this man dying was terrible. All began to tweet prayers and good wishes for Rush! I began to pray! For two years now I have been learning the truth about politics. A few months ago I signed up for Rush’s 24/7. I don’t listen to him every day but this morning I went to his site and tried to find him but couldn’t. I didn’t know he was on vacation. Rush Limbaugh is too young to die. He’s only 58 I hear. I am 58. 58 years young is too young to die. We have a lot of living to do and fighting for our country. So Father please touch our wonderful friend, great communicator, educator and broadcast conservative radio talk show host RUSH Limbaugh with the health you bought for him when you took those stripes. By His stripes we are healed! IN the mighty Name of Jesus! Give the doctors wisdom Lord!